If you feel the need to indulge in a heaping dose of tryptophan this year, go ahead! Turkey also contains healthy proteins and may even provide a boost for your immune system. Here at Purl’s Sheet Metal & Air Conditioning, we hope your Thanksgiving is full of joy and contentment this year. Happy feasting! 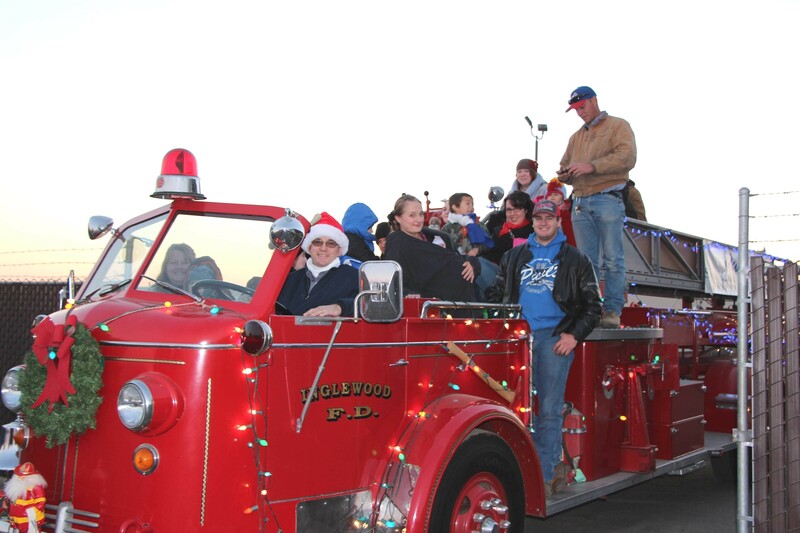 The 21st Annual Madera Light Parade is scheduled for Thursday Dec 4, 2014. The annual light parade is a tradition in Madera that begins the Holiday Season with a spectacular Christmas celebration of lights. Every year the event is hosted by the Madera Kiwanis Club and the Downtown Association. The light parade began 21 years ago as a procession of farm equipment and tractors down historic Yosemite Avenue in Madera, CA. It was a great way to celebrate the end of the harvest and begin the Holiday Season. Today, the parade route continues down Yosemite Avenue and still includes tractors and harvesters as well as fire trucks, cars, semi-trucks, flatbed trailers and just about anything else you can put lights on. There is only one qualification to enter … each vehicle must have a minimum of 100 lighted Christmas lights. Madera residents line the streets of Yosemite Avenue and cheer for their favorite entries. Spectators can view the parade and wander through downtown business locations. Purl’s Sheet Metal will be entering the parade again with their fleet of antique fire apparatus decorated and loaded with Purl’s Sheet Metal employees and families. We partner our entry with our friends from Warnock Food Products of Madera with a total entry of 6 to 7 antique fire engines. It is a great evening for us to bundle up and barbeque hot dogs, drink hot cocoa and sing some Christmas carols. The Purl’s Sheet Metal & Air Conditioning fleet includes, 1979 Crown Fire Coach Pumper, 1951 American La France Pumper and a 1948 American La France Aerial Ladder Truck. 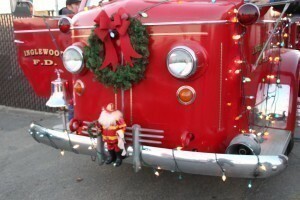 The parade begins at 6:00 pm and also offers tickets to the wine and hot chocolate stroll through downtown businesses with appetizers and wine tasting from more than 9 local Madera Wineries. Contact the Madera Chamber of Commerce for tickets. What Does the AFUE Rating on a Furnace Mean for My Heating? The energy efficiency of the furnace that keeps your house warm is one of the most important things to know about it. You can use it to estimate how much a furnace will cost to run, and it also serves as an early warning of repair issues should the furnace start to create higher heating bills than normal. Central furnaces, whether gas or electric, have their efficiency measured in AFUE, an acronym for “Annual Fuel Utilization Efficiency.” Understanding how AFUE is measured will help you better understand your furnace. It will also caution you about when to call for repairs or schedule a replacement for the furnace. When you need expert service for your furnace, call on a highly-trained team with a long history in the HVAC industry in Fresno with heating: Purl’s Sheet Metal & Air Conditioning. Annual Fuel Utilization Efficiency is expressed as a percentage. This percentage is the amount of energy put into the furnace that it converts into heating power, as measured over a year. The larger the percentage, the more fuel is turned into heat and the less is wasted as exhaust. For example, if a gas furnace produces on average 90 BTUs for each 100 units of natural gas that it burns, then it has an AFUE of 90%. The Federal Trade Commission requires that manufacturers of furnaces include AFUE ratings on all new units. A non-condensing furnace must have a minimum of 78% AFUE (unless designed for a mobile home). The Department of Energy has new requirements for furnaces that are set to go into effect on January 1, 2015: all weatherized gas furnaces must have 81% AFUE after this date. However, many furnaces score much higher AFUE ratings than this. High-efficiency furnaces often rank above 90% AFUE. Electrical furnaces are also extremely fuel efficient, but electricity is usually a more costly energy source. If you are planning to have a new furnace installed, you will need assistance from heating and cooling experts to find the right balance of efficiency and cost to fit your home and budget. As long as your furnace receives regular annual maintenance from skilled technicians, it should keep 95% of its efficiency for most of its service life. If you notice a spike in your heating bills, it can mean your furnace needs repairs or it has reached a point where it is losing efficiency due to age. In either case, call for furnace professionals to look into the issue and see what needs to be done. Purl’s Sheet Metal & Air Conditioning has many decades with residential furnaces in Fresno. Whether you need new installation, maintenance, or repairs to protect your home’s heating, you can count on our services seven days a week. Posted in Heating | Comments Off on What Does the AFUE Rating on a Furnace Mean for My Heating?